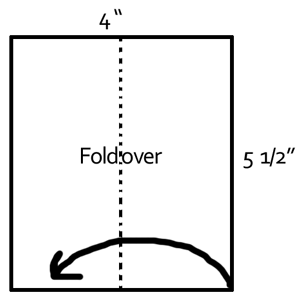 Firstly, fold an oblong piece of paper 4 inches by 5 1/2 inches on its short diameter. 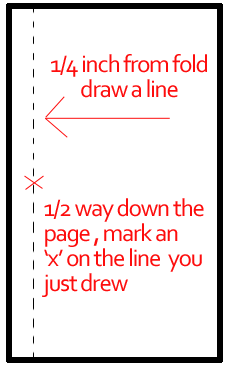 One fourth inch from fold draw a line and mark an ‘x’ halfway down on it. Draw butterfly like in the drawing that you see above. The dashed line is the line that we drew in the previous step. 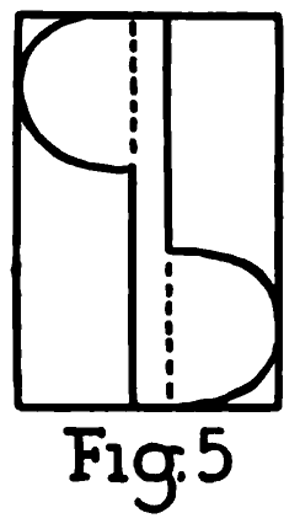 Cut out this pattern and trace on to a piece of cardboard, making a large pin hole through the ‘x’ on each side of the body. Cut out cardboard butterfly and color on both surfaces. Fasten 2 pins, securely, in the top of an empty thread spool. Make sure to let them stick out about an eighth of an inch. Also, try to placed the pins so that they are exactly opposite each other across the hole and about a half inch apart from each other. 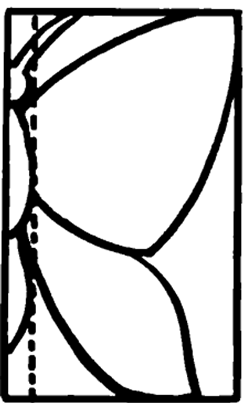 A piece of dowel or any round stick about a half inch in diameter and a foot in length is the next requirement. Parental help / permission might be require for this part of the craft, depending on your age. Shave off some of the wood on the stick or dowel so that the stick is a little less as wide as the diameter (width) of the spool’s hole. 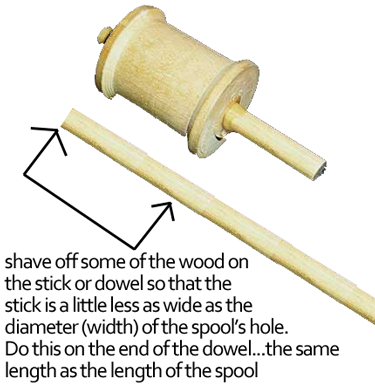 Do this on the end of the dowel…the same length as the length of the spool. Finish so that the spool has a little platform on which to rest when thrust over end of stick. Tie a knot near the end of a piece of strong string or cord about 2 feet long. 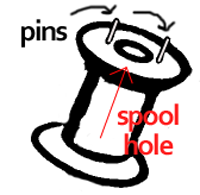 Place the end with NO knot on the spool and start winding the string on the spool. 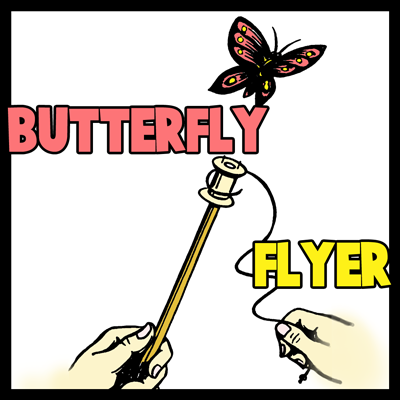 Step 7 – The Fun Part – How to Play With Your New Butterfly Toy. Now for the fun. Put the spool on the stick. 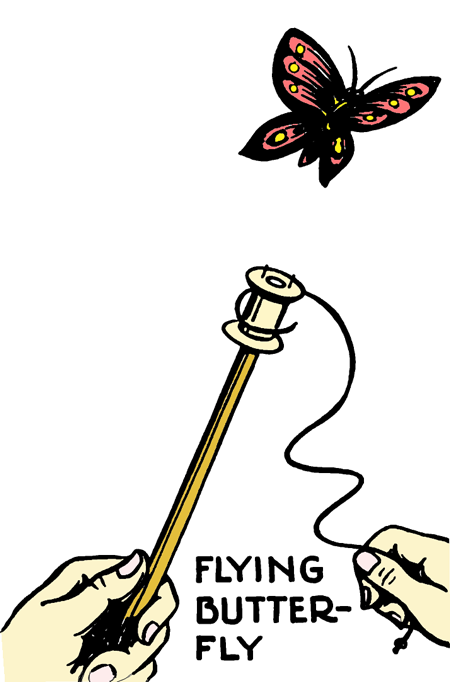 Now slip pinholes in butterfly’s body over the pins that are in the spool. 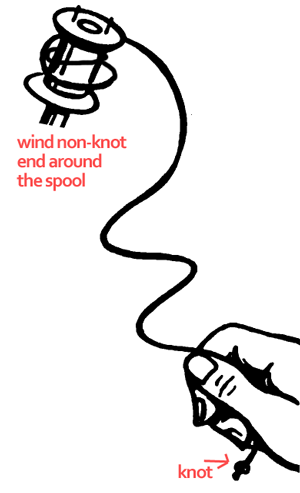 Then catching hold of a knot, give the string a quick jerk. Away will fly the butterfly … sometimes 15 feet or more up into the air. i am looking for a craft butterfly that flies( when you wind its body and put it inbetween a card then when someone opens the card the butterfly will fly out of the card).